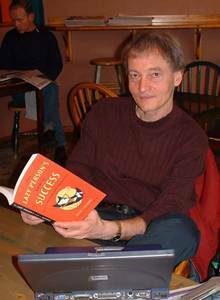 Ernie J. Zelinski is an international best-selling author, innovator, independent publisher, prosperity life coach, and unconventional career expert. He is an authority on the topics of entrepreneurship, early retirement, and applying creativity to business and leisure. The National Turkish Society for Quality (KalDer) recently spent over $20,000 to bring Ernie to their 17th annual convention in Istanbul to speak about creativity and The Joy of Not Working to over 2,000 executives, scholars, and students. 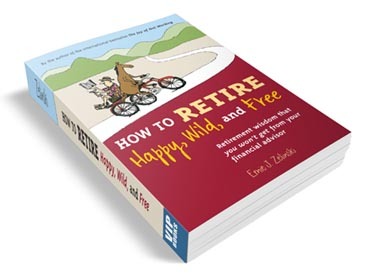 Ernie Zelinski is the author the international best-selling retirement book How to Retire Happy, Wild, and Free (over 350,000 copies sold and published in 9 languages) and the international bestseller The Joy of Not Working (over 300,000 copies sold and published in 17 languages). 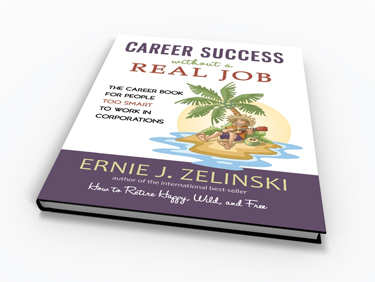 Ernie Zelinski is also the author of the recently released Career Success Without a Real Job: (The Career Book for People Too Smart to Work in Corporations). 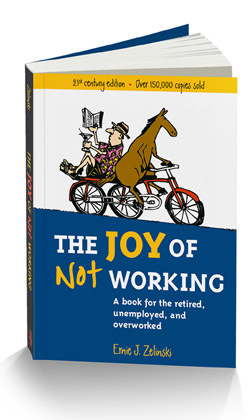 Ernie Zelinski's books have now sold over 950,000 copies worldwide. He has negotiated 111 book deals with publishers in 29 different countries for his various books. All of these book deals have been initiated, negotiated, and finalized by Ernie without using the services of any North American literary agent although he does use agents in the Orient. Twenty-five years ago Ernie Zelinski was fired from his engineering job for taking too much vacation time. He hasn't worked at a real job ever since. Now he works only three or four hours a day — sometimes five — and earns a better living than 90 percent of the corporate world. Now, this is creativity and Real Career Success! And true freedom! As Ernie Zelinski says in his books, "you will have attained true freedom in this world when you can get up in the morning when you want get up; go to sleep when you want to go sleep; and in the interval, work and play at the things you want to work and play — all at your own pace." You can follow Ernie Zelinski on Twitter! 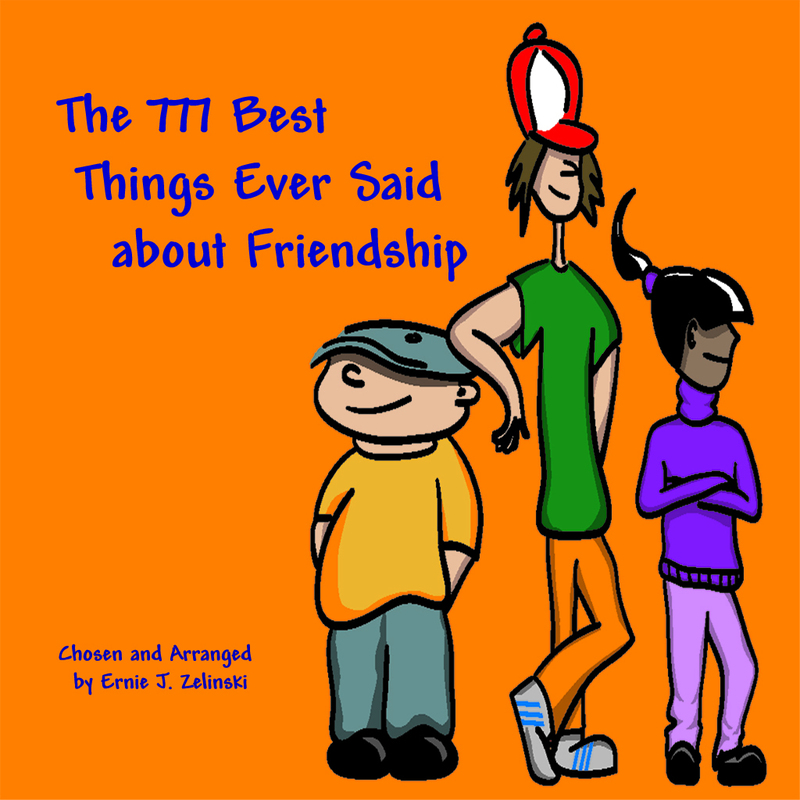 The 777 Best Things Ever Said about Friendship is an E-book that will soon be available as a bonus on Ernie's The Friendship Cafe Website when people purchase Ernie's Life's Secret Handbook for Having Great Friends. Feature articles about Ernie Zelinski and his best-selling books have appeared in major newspapers including USA TODAY, National Post, Oakland Tribune, Boston Herald, Los Angeles Times, Toronto Star, and Vancouver Sun. He has been interviewed by over 100 radio stations and has appeared on CNN TV's Financial News, CBC TV's Venture, and CTV's Canada AM. Ernie has a B. Sc. in Engineering and a Masters in Business Administration from the University of Alberta. He speaks professionally on the subjects of book publishing and marketing, real success without a real job, and applying creativity to business and leisure. Even though Ernie has great freedom, he makes a great income telling people not to work so hard. He also encourages people to escape the corporate world and experience the joy of not working for someone else. 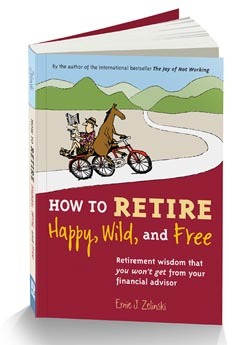 Ernie Zelinski is uniquely qualified to write books such as How to Retire Happy, Wild, and Free, given that he opted for semi-retirement when he was only 30 years old and close to financial bankruptcy (with a net worth of minus $30,000). Yet today Ernie is a prosperous writer, entrepreneur, and proponent of individual freedom who maintains a three- to four-hour workday and doesn't like to work at all in any month that doesn't have an "r" in its name. Ernie lives in Edmonton, where, besides hanging around his favorite coffee shops with his laptop, he enjoys running, cycling, tennis, reading, and traveling. Following are a few more of Ernie Zelinski's over 25 blogs and websites.